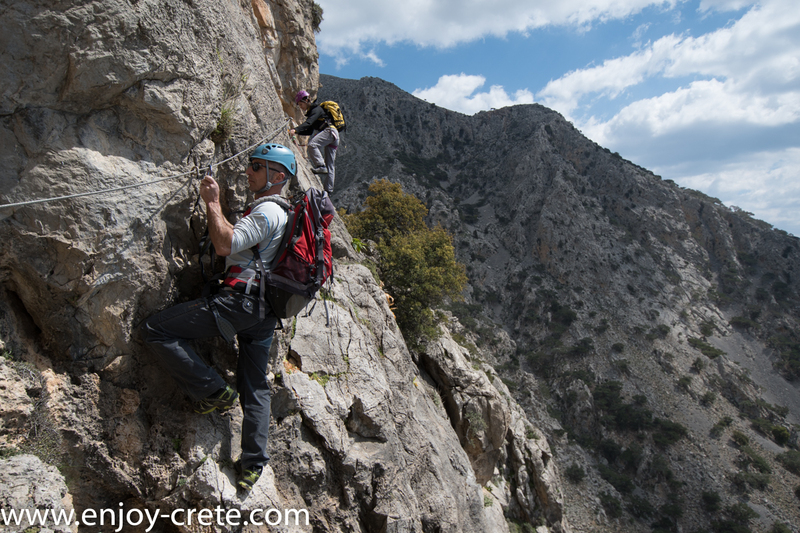 The via ferrata trip is suitable for all people with some experience in rock climbing. 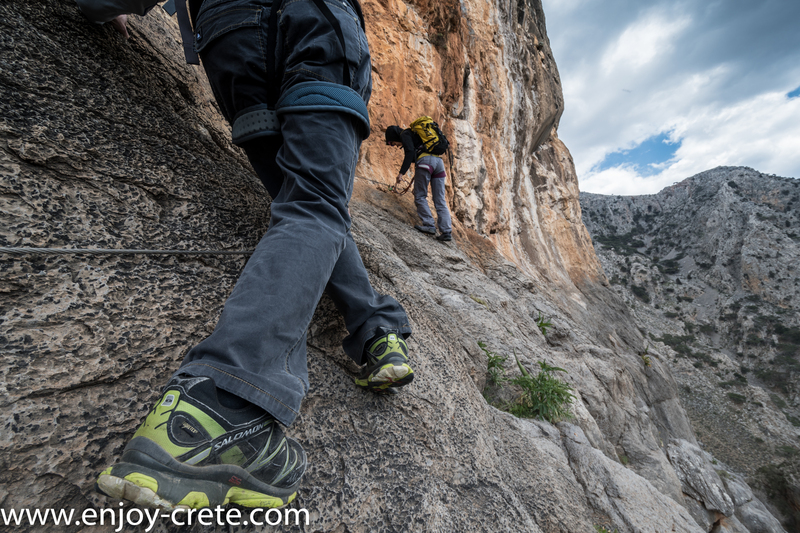 It is very easy in terms of climbing as there is a wire and steps on most parts. 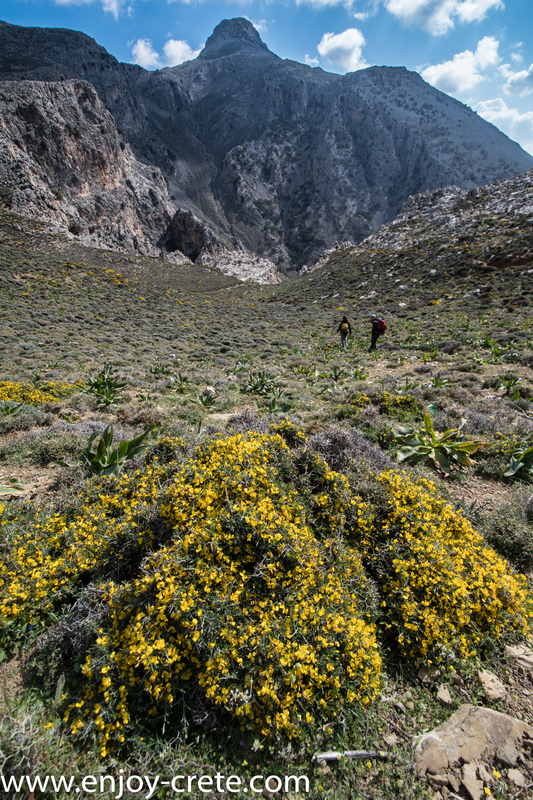 It is however exposed on some parts thus is recommended to have previous climbing experience but not required. 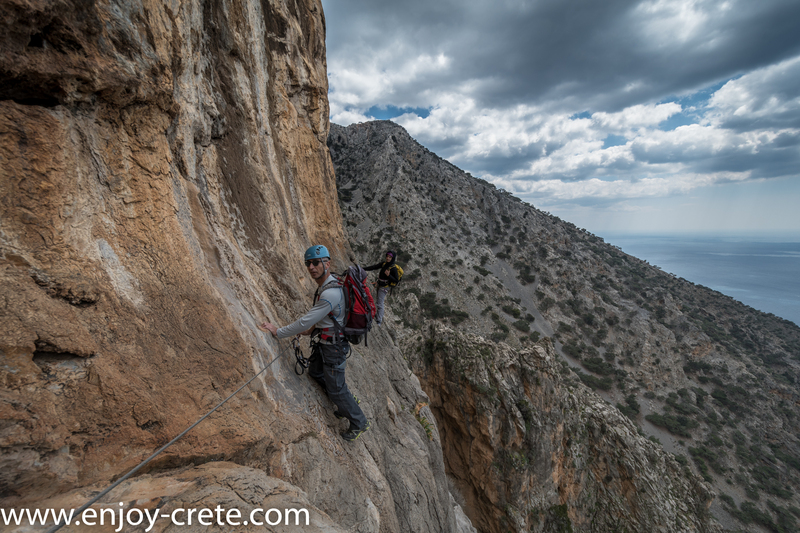 Rock climbers will love the route. 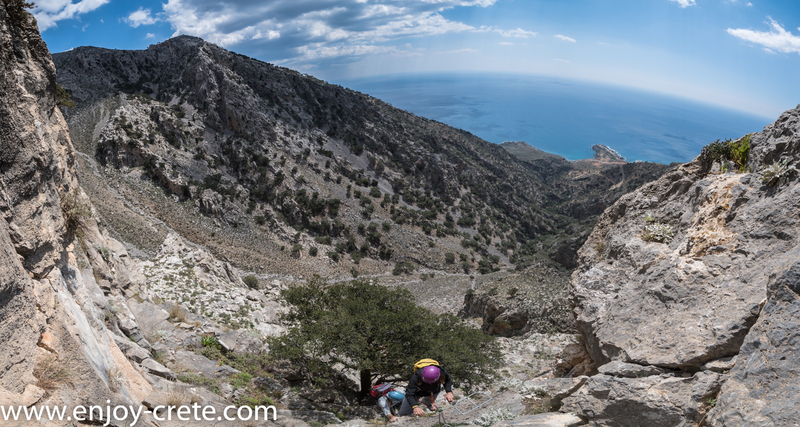 The view to the Lybean sea is outstanding as it is located in the heart of Asterousia mountains; a range in southern Crete separating the Messara valley from the Libyan Sea. It starts very close from Kapetaniana village at 800 meters altitude. 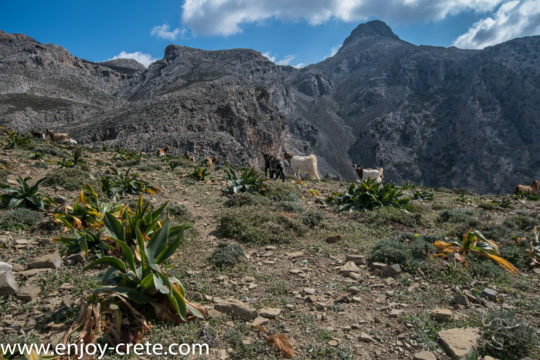 A must trip if you want to explore the real face of Crete! 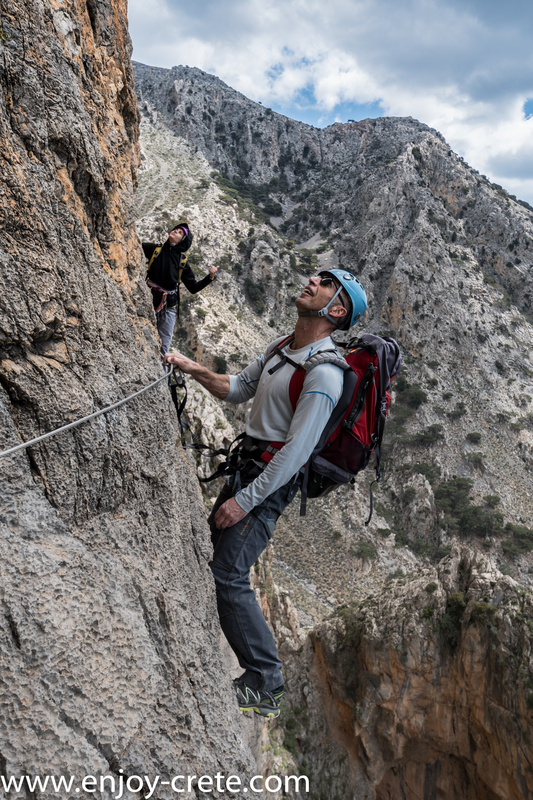 The essence of a modern via ferrata is a steel cable which runs along the route and is periodically (every 1 to 10 metres (3.3 to 32.8 ft)) fixed to the rock. 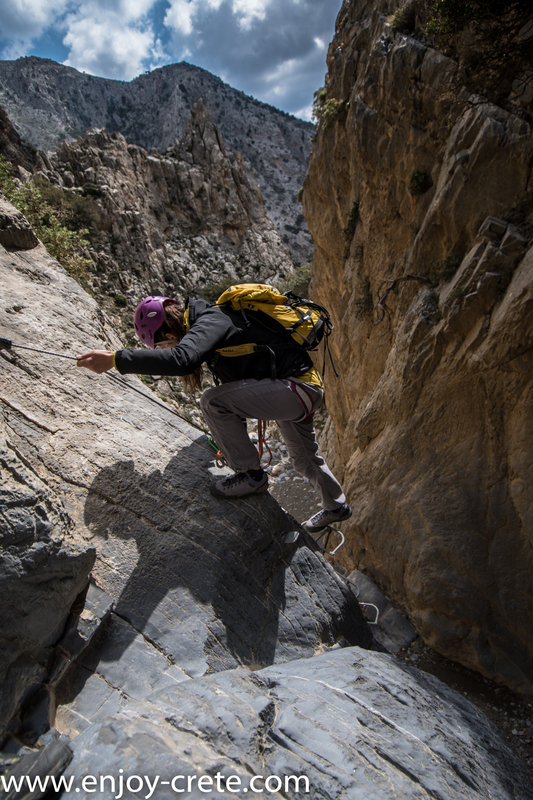 Using a via ferrata kit, climbers can secure themselves to the cable, limiting any fall. The cable can also be used as aid to climbing, and additional climbing aids, such as iron rungs (stemples), pegs, carved steps are often provided. 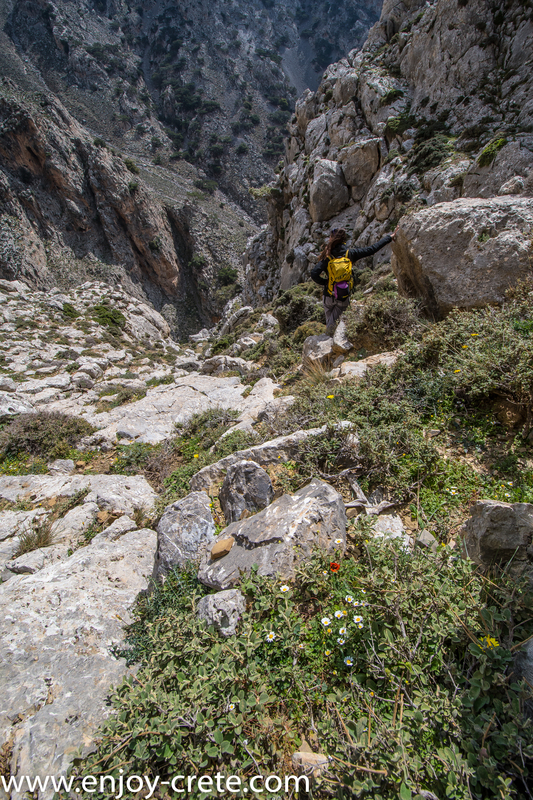 Thus via ferratas allow otherwise dangerous routes to be undertaken without the risks associated with unprotected scrambling and climbing or the need for climbing equipment such as ropes. 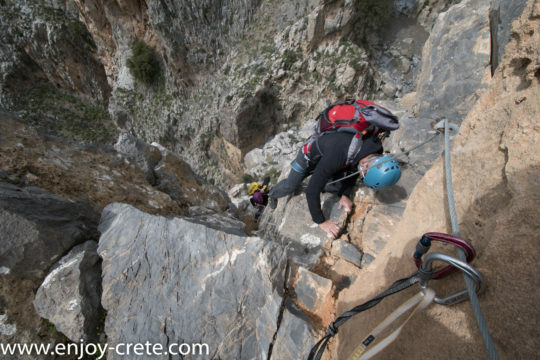 They offer the relatively inexperienced a means of enjoying dramatic positions and accessing difficult peaks, normally the preserve of the serious mountaineer; although, as there is a need for some equipment, a good head for heights and basic technique, the via ferrata can be seen as a distinct step up from ordinary mountain walking. 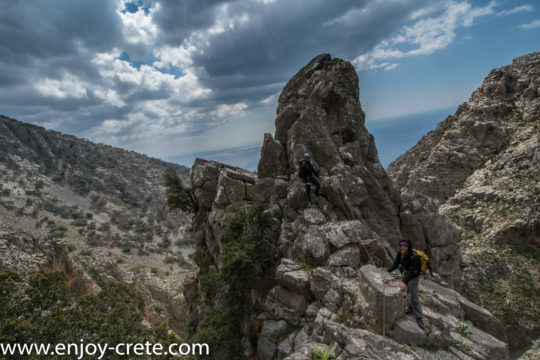 All equipment is provided by Enjoy-Crete; all you need is your shoes and a small rucksack. You will need to pack your lunch. Other than that you will need at least 1.5lt of water,sun glasses, hat and sunscreen along with a good hiking shoe or trail running shoes. Normal sport shoes can also be used but not recommended as the rock is quiet sharp on some places and there is a big change to make a hole on them! Directions to the starting point? 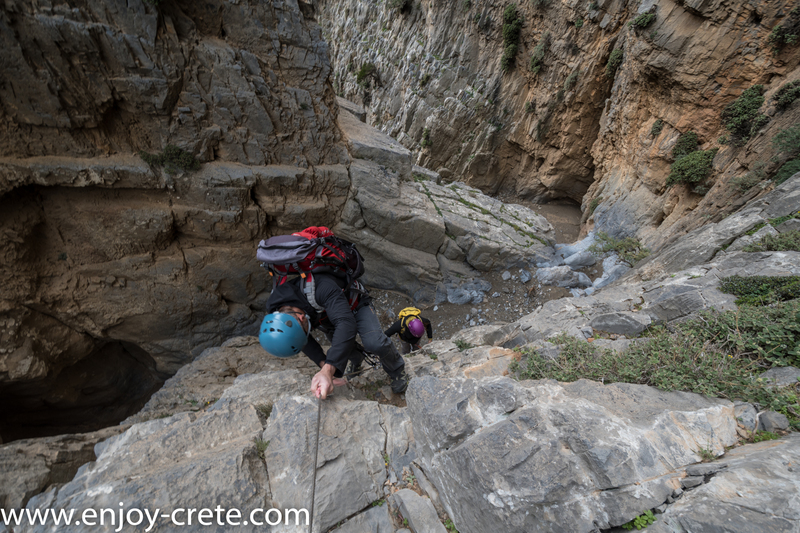 Depending where you are located you will either meet with us in Heraklion (will sent the exact spot by email) or direct in Kapetaniana village. Use the "BOOK NOW" button located on the top of this page as the booking form has extra details that we need. After submitting the form you will get an email within 1-2 days (usually same day) with a link to pay the 20% of the cost to confirm booking. Rest of the money either by cash when we meet or via credit card payment two days prior the starting date as we need the funds to have cleared by the date of the trip. What time do we meet and finish? We start around 10 am from Heraklion or earlier during the summer months to avoid the strong mid day sun. The via ferrata itself takes around 1.5 hour for experienced climbers or between 2-3 hours for non experienced. We also need roughly an hour and 15 minutes driving to get there. We pick up clients from Heraklion town and nearby. Many times we are able to pick up clients from other locations as well but it needs to be on our way to the starting point. If you need transport and you are not sure get in touch with us. Remember to send us the exact location of your hotel, not just the name. Transport is provided for free. I've never climbed before, can I join? Yes as long as you are not overweight, you are in good fit and don't fear the heights. 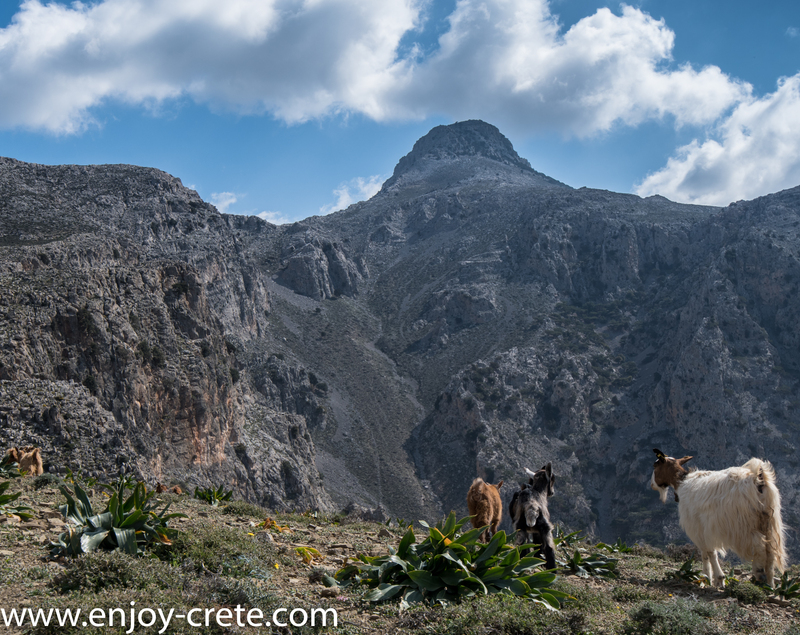 Enjoy-Crete operates all year round. April - November: scheduled adventures almost every day. December - March: experiences on demand. Minimum group of two people guarantees we will open a session for you, if we can.